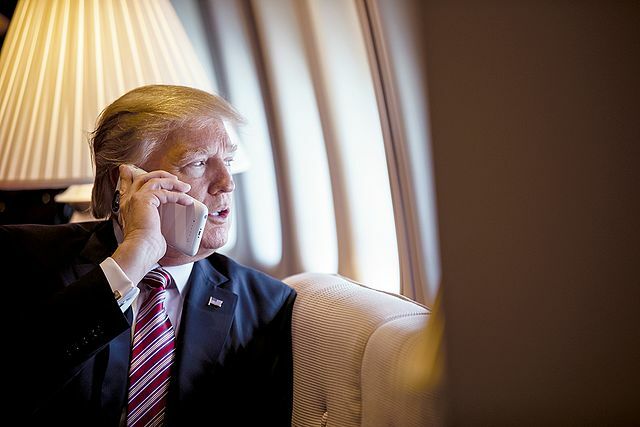 The full transcript of President Trump's phone call with Philippines President Rodrigo Duterte was leaked to The Intercept and published online for all to see on Tuesday. The document contains classified discussions on potential use of nuclear weapons against North Korea. The Intercept appears to have published the classified document because they disagree with his drug war. The Intercept obtained a transcript of the call and is publishing it in full. On the call, Trump enthusiastically endorsed Duterte�s murderous �drug war� and repeatedly addressed the possibility of a U.S. nuclear strike on North Korea. The transcript, which contains numerous typographical errors, is an official document of the Philippine Department of Foreign Affairs. Well-placed sources at the Palace and the Department of Foreign Affairs confirmed its authenticity to reporters for the Philippine news outlet Rappler, which collaborated with The Intercept on this story. Duterte has a 78% approval rating and his drug war has massive popular support. Unless you're some whiny liberal, the document is not particularly shocking. The real scandal here is the deep state openly sabotaging our democratically elected president.